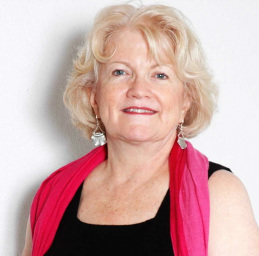 Author extraordinaire and past life expert (among other things), Lois Wetzel, will interview me on March 1st at 1o AM EST. Her radio program is called The Lois Wetzel Show (click on that link to find the broadcast). 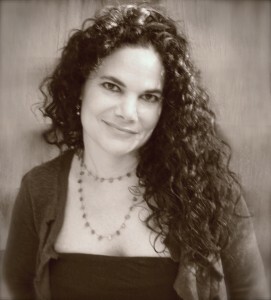 Lois is an amazing, talented, and renowned author, healer, and past life expert. Our conversation promises to be enlightening and a lot of fun. Call in, tell me you read about the show on this blog, and I’ll send you a free autographed copy of my newest book, Why Quantum Physicists Do Not Fail. I will return to Laura Gevanter’s fantastic radio program, Life in the Present Tense, Wednesday at 3 PM EST. Laura is a good friend and an even better teacher. If you’ve not listened to her program before, you should give it a try. Author Greg Kuhn returns to Life in The Present Tense to discuss his new book, Why Quantum Physicists Don’t Fail. He is a professional educator and a futurist, specializing in framing new paradigms for 21st Century living. For the last fifteen years, he has written primarily with his father, Dr. Clifford Kuhn, M.D., about health, wellness, and productivity. His first book, Why Quantum Physicists Don’t Get Fat is a huge success on Amazon. If you call in and ask a question, mention you read this on my blog and I’ll send you an autographed copy of my new book, Why Quantum Physicists Do Not Fail. 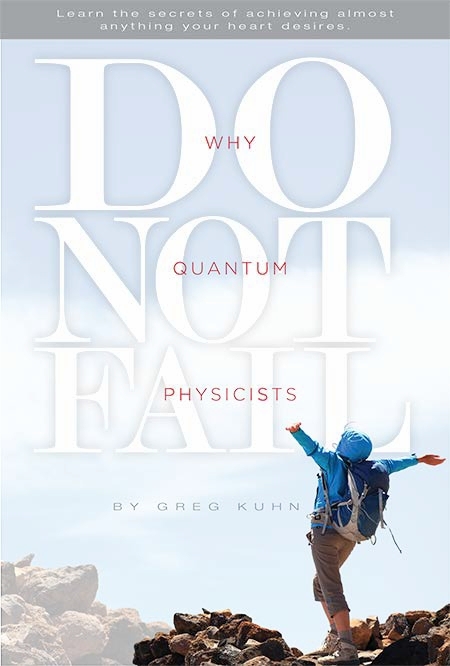 From today through Saturday, my newest book, Why Quantum Physicists Do Not Fail, is 100% free. Go to Amazon right now and download it! 29 reviews and counting. All 5 and 4-star. Check the reviews for yourself and get your anticipation up for this amazing book. Free for you right now! “I’m a huge fan of quantum-related books that explain the science behind what we experience. Theoretically, I understand a lot of it. However, if you’re going to read just one book and you want it to help you integrate quantum realities into your everyday life, this is probably the book to get. I hardly ever give a book five stars. This book is an exception. I could go on, but check it out for yourself right now. What Can Michael Jordan Teach You About Consciously Creating A More Pleasing Reality? 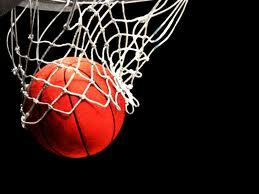 A good basketball player uses faith when she shoots. She believes that her shot is going through the hoop. She doesn’t calculate the physics of her proposed trajectory. She doesn’t use math to score; she uses her subconscious and her intuition. Deliberate creators are a lot like basketball players. When they begin creating consciously, they must start focusing intent upon telling themselves new, better-feeling stories about all their life’s circumstances. Just as a beginning player must intently and deliberately adhere to proper footwork, form, and follow-through on her shot. It’s work at first. It takes conscious effort to train the muscle memory. And neither are probably going to become Michael Jordan overnight. But with enough practice, just like a great player’s shooting ability, telling the best-feeling, believable stories about your life’s events becomes a subconscious effort. A great shooter is no longer consciously focusing upon her foot placement, arm angle, hand positions, and follow-through; she’s practiced her routine enough that she’s now using the correct shooting mechanics unconsciously. A great deliberate creator has done the same thing with the correct mechanics of retraining her beliefs to be more closely aligned with her desires. No one would expect a basketball novice to step onto the court in a varsity game and dominate like Michael Jordan. We all know it takes time, effort, dedication, practice, and persistence to become an all-star. But we also know that given enough of effort, dedication, practice, and persistence anyone can become a pretty darn good player (at least as good a player as is possible for you). Give yourself leeway regarding creating a more pleasing reality. Spiritual “muscle memory” takes time; you’d been telling yourself those bad-feeling stories and holding beliefs which were not aligned with your desires, after all, for most of your life. (Click on that link to Tweet it) Remember that Micheal Jordan didn’t become Michael Jordan in one day! With enough practice you’ll soon find more and more of your “shots” going through the net as your beliefs and desires become more closely aligned! What Do Bad Feelings Mean for a Deliberate Creator? Do you have days when you’re feeling down or bad? Sometimes for seemingly no real reason at all? Those were my feelings yesterday morning. Those also happen to be some of the beliefs I used to have – so I’m well acquainted with those feelings. They used to be some of my habitual patterns of thought. I told myself those stories repeatedly for years until they had become some of my “truths”. Until I learned how and why to use new paradigms from quantum physics to build new beliefs. And I’ve been using those new paradigms, telling myself better-feeling stories, for over five years now. Technically, what I’ve been doing is telling myself the best-feeling, believable stories possible for over five years. Just what I teach you to do in my Why Quantum Physicists… series of books. So, today, when I have those bad feelings I described earlier, I simply acknowledge and validate them. They are temporary; they are not my state of being and do not reflect my new, true beliefs about myself. They also no longer frighten me because I know they are not my beliefs unless I choose to make them so by repeating and believing them. So yesterday, although they weren’t wonderful, I simply felt those feelings and acknowledged them. And I also felt a warm glow of confidence that my beliefs are still, and always, my choice. I choose to have beliefs today which align me with my desires. (Click that link to Tweet it) And I choose to be in charge of those beliefs through the stories I tell myself each day. We recently got a manual transmission car. It’s the first one I’ve owned since 1993, although I drove nothing but stick-shifts during my first decade as a driver. I’ve been reminded, thus, about how much conscious effort it can take to drive a stick-shift (as opposed to driving an automatic transmission). At first, that is. 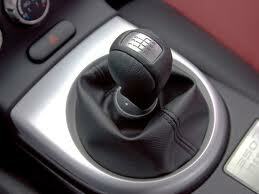 And then, with repeated driving, it becomes as automatic as…well, driving an automatic. Changing your beliefs works the same way. For a while, telling new, better-feeling stories about all of your life experiences takes a real, conscious effort. It’s a radical departure, after all, from your old, “auto-pilot” habit of simply accepting conventional wisdom and labeling so much of your life as “bad”. As you probably know, when you begin driving a clutch (or reacquaint yourself with doing so), you have to pay close attention to your speed and the revving of the engine to ensure you’re shifting at appropriate times. It’s work. But, over the course of time, your ears become so accustomed to the engine’s whine that you begin to shift gears without having to consciously think about it. Taken one step further, the familiar routes you drive (to the grocery store or to work, for example) become so habitual that your muscle memory gets trained to shift subconsciously at certain points along the drive (not accounting for varied traffic density, of course). You’ve practiced enough, you see, that your gear shifting is now being done unconsciously. What once took your conscious concentration is now occurring within your subconscious and now takes no more effort than driving your automatic transmission. Your spiritual and mental “muscle memory” has been trained. You are an immensely powerful creator. But can you control the weather? Sort of. And, also, “yes”. Are You a Weather Wizard? Sort of? I don’t believe you can reliably and repeatedly make it rain or make the sun shine on command. Yes, you do create your material world through your observations (and, more importantly, your expectations),. But I don’t believe you have such an immediate authority over the weather outside. Yes? I do believe that you can, however, assign any meaning you choose to the weather you encounter today. How does that count as a “Yes, you can control the weather”? Keep reading. Think for a moment about why you would want the sun to shine on a cloudy day. Because of what it would allow you do, right? Enjoy the outdoors, play outside, brighten your mood, garden, golf, etc. But dig deeper about why you would want the sun to shine on a cloudy day. Isn’t the deepest reason because of how it would make you feel? And how the activities the sunshine would allow would make you feel? Happy, uplifted, joyous, free, open, spontaneous, etc.? So…what if you decided to feel those feelings the sunshine would give you – right now? Regardless of the clouds, the gloom, the rain, or the grey overcast? 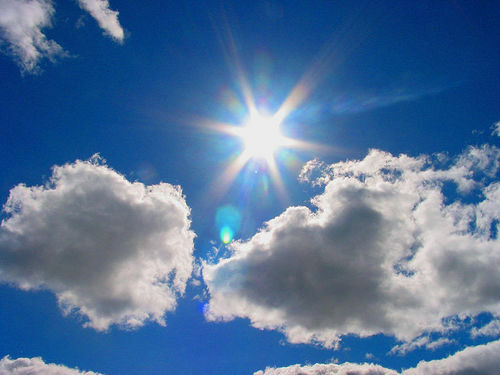 Wouldn’t feeling those “sunshine feelings”, regardless of the clouds, make you more powerful than the actual weather? Wouldn’t that remove the power the current weather holds over your state of being? Wouldn’t that decision, in actual practice, make you the master of the weather – wresting back control over your state of being? So, in this way, isn’t it true to say that you are, in fact, capable of creating your own, personal “weather”? So, yes, you can control the weather!